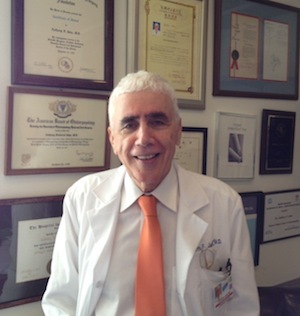 Welcome to the home page of Dr. Anthony F. Jahn. Dr. Jahn is an otolaryngologist (Ear, Nose and Throat specialist) with a special interest in voice disorders and ear diseases. He has his office in New York, and has published numerous publications and several text books. To read a brief biography of Dr. Jahn, go to about. If you have an appointment with Dr. Jahn and need directions to his office, or if you wish to see which insurance plans are accepted, click on office. To read a selection of Dr. Jahn's articles from Classical Singer, or to get some tips for maintaining vocal health, see articles and tips. For more information on Dr. Jahn's published works, or to order books written by Dr. Jahn, check out publications. View Dr. Jahn's video profile.